April was a quiet month in my stashdown challenge, and I have only just got round to having photos taken of what I did complete. 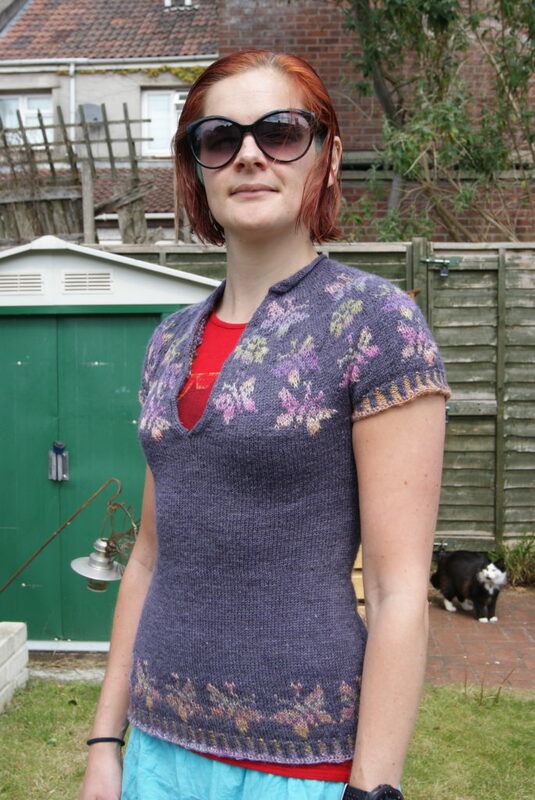 Just a short-sleeved stranded pullover in handspun this month, which used up 927 yards of yarn. No yarn in though, which is just as well with Tour de Fleece starting to approach on the horizon. 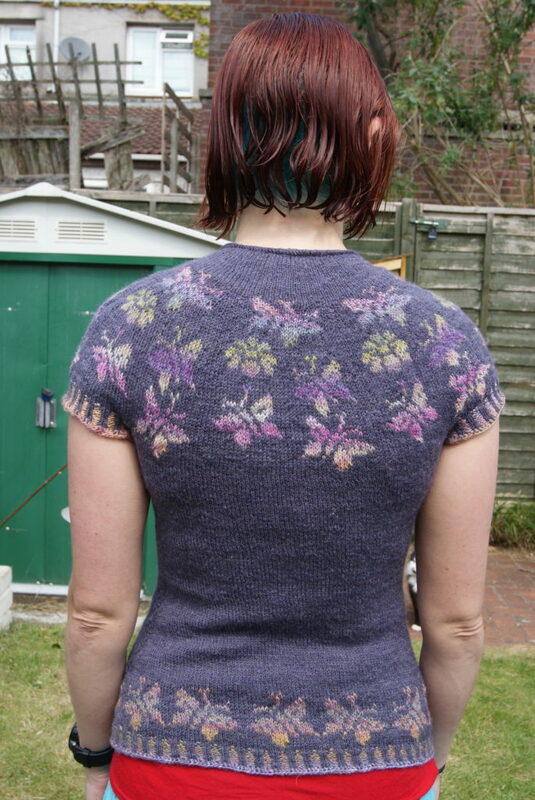 This entry was posted in Knitting and tagged knitting, stashdown2017 on 11 May, 2017 by fakoriginal.